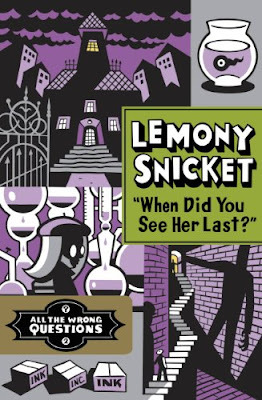 As you may have seen in the title, this is the second book in Mr. Snicket's four-book series, All The Wrong Questions. After finishing the second book (and, yes...IT ENDS IN A CLIFFHANGER! ), I was pretty desperate to get my hands on the second. This review is spoiler free and based on personal opinion. Following the events at the end of the first book, we continue to follow the almost-thirteen-year-old Lemony Snicket through his adventures. The mystery of the Bombinating Beast remains unsolved, and now the plot thickens! A girl goes missing and it is up to Snicket to find her. He comes across many strange things including, a creepy apothecary, no root beer, a brilliant chemist, laudanum, honeydew melons, a mess of hair and a woman who is good with knives. 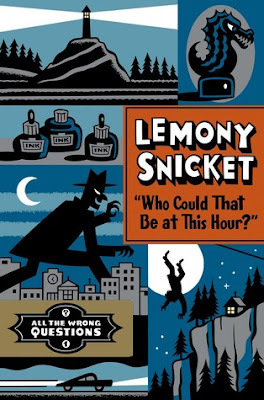 I am rarely disappointed with Lemony Snicket's books, and All The Wrong Questions, Book 2 is no exception. I was almost positive I would love this book when I opened the front cover, and I was completely positive when I shut it. (To read the book review of All The Wrong Questions, Book 1 click here). This book carries the story even further, the plot getting stickier and ickier the whole time. 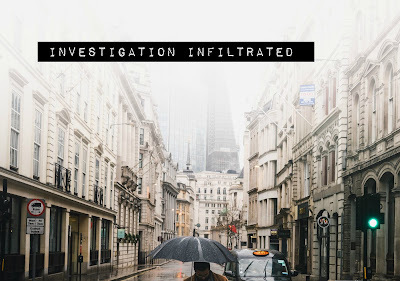 By the conclusion, not even a fraction of the mysteries are close to being solved. (I do recommend reading his 'A Series of Unfortunate Events' before reading 'All The Wrong Questions'. There are a lot of themes in the former that crop up in the latter). If there is one thing I ABSOLUTELY love is Lemony Snicket's narratives. Unlike A Series of Unfortunate Events, this series is written in first person narrative from Lemony's own perspective. It's fabulous because since he is narrating it feels like the narration also has a personality. He has a wonderful way of explaining things that's both relateable, humorous, entertaining, quirky and artistic all at the same time. I fell in love with his narratives from the minute I pick up his books and he nails it EVERY.TIME. The book offers a wide cast of unique characters; I never felt like I was reading anything cliched or copied. They all have their unique quirks and interests, the development is excellent and they are just overall very well written. Ellington Feint continues to be morally grey, and Stew Mitchum seems to be much more dangerous (and even creepier?) than in the previous book. Hangfire's villainous motives continue to be indecipherable, as they are supposed to be. The dialogue is written very well. It's got all that great quirkiness and dry humor that I love. It's also written in a way that made me want to speak better. Proper grammar, interesting discussions and all that. Occasionally when reading I find myself accidentally skimming dialogue. HOWEVER, that never happened to me while I read this book. It kept me interested the whole time. All the Wrong Questions is strikingly creative. From the setting to the characters to the plot. It's at the perfect spot between believable and whimsical. Something you'd LOVE to read about but hate to have to deal with. Sharp-toothed tadpoles, abandoned buildings and all that. The whole series is based around this idea of asking the right questions. What are the right questions? What are the wrong questions? In Lemony's books I frequently encounter this other theme based around family. There seems to be an emphasis on the importance and love between siblings. In All The Wrong Questions, Book 2, Lemony Snicket frequently talks to his sister in his head. They worry for each other and try to look out from one another even though they are in different towns. They are associates as well as siblings, and even though she hasn't appeared in the book in person, it's just all very well melded together. This is VERY nitty-gritty, but at the climax, perhaps, there is a scene where Cleo Knight is facing down one of the villain's associates. There wasn't anything particularly wrong with it, it just felt very stiff. Or at least, it didn't flow as easily as the rest of the book had. But really, I did not have any real oppositions to this book. I thoroughly enjoyed the whole thing. If you're looking for an entertaining and imaginative read, then I wholeheartedly recommend this book and likewise the entire series. I hope I have sparked your interest! 1. Have you ever read All The Wrong Questions or any other books by Mr. Snicket? 2. If so, what did you think of it/them? 3. Would you consider reading this book? Why or why not? 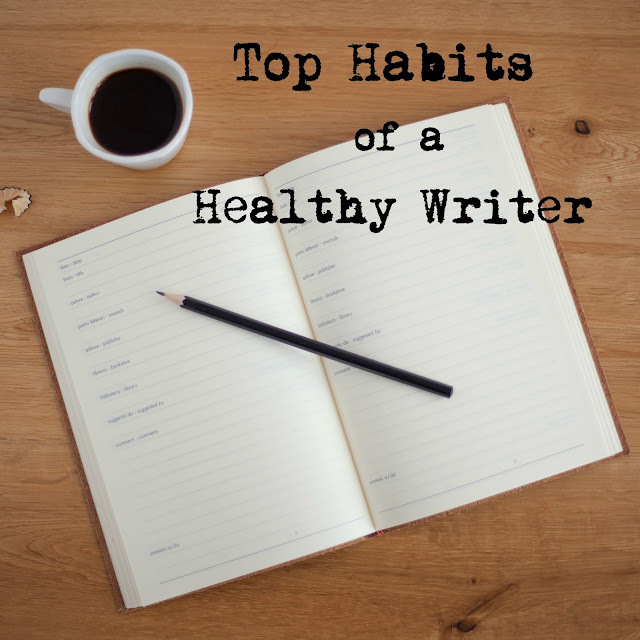 Is Writing Stressing You Out?